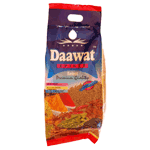 Also known as dhania powder, the ground coriander is obtained from the Coriander seed of the coriander plant. Most commonly, it is bought as whole dried seeds, but it can also be found as a powder. Product of India.